Greek national flags and a European Union flag flutter outside a shop in central Athens, Greece. 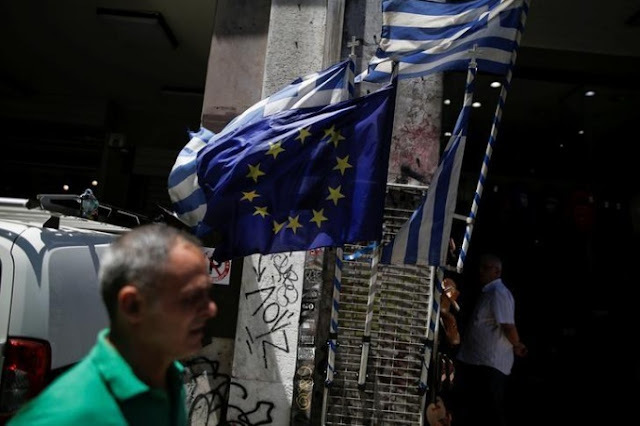 BRUSSELS - European Union states decided on Monday to close disciplinary procedures against Greece over its excessive deficit after improvements in Greece’s fiscal position, confirming the country’s recovery is on the right track. EU states backed a recommendation by the European Commission to end the excessive deficit procedure. “After many years of severe difficulties, Greece’s finances are in much better shape. Today’s decision is therefore welcome”, Estonia’s finance minister Toomas Toniste said in a statement.